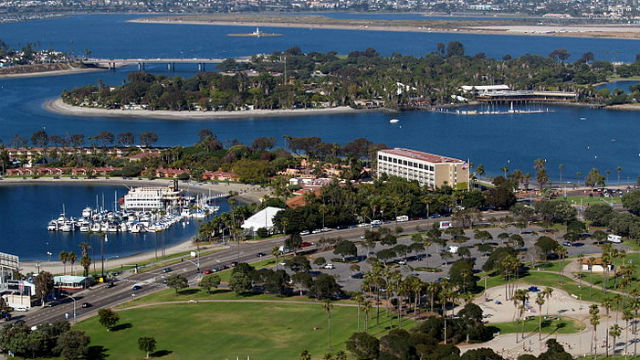 San Diego Mayor Kevin Faulconer announced Wednesday that the city will spend $40 million over six years for infrastructure improvements at Mission Bay Park. The funding is the result of two ballot initiatives passed over the last decade to allocate money for Mission Bay Park improvements. Proposition C in 2008 diverted a portion of park lease revenue for park upgrades and 2016’s Measure J extended the Proposition C funding stream for 30 years and allowed the city to expedite certain park projects. The city estimates the two initiatives will generate roughly $1.5 billion by 2069. The city has five improvement projects planned for the park. A quarter of the money will be spent on dredging Mission Bay to improve its navigational safety. Funding will also be used to resurface 18 parking lots, replace playground equipment at 10 different sections of the park, upgrade comfort stations in multiple areas and replace East Mission Bay’s adult fitness course and Robb Field’s recreation center. Long-term, the city plans to restore falling shorelines, improve the San Diego River Trail, expand habitats for endangered species and compose a master environmental report to detail the environmental and water quality ramifications of proposed projects. The Mission Bay Park Committee will oversee the array of improvements and the allocation of funding.